Whenever you buy a new pair of trainers or shoes you should always have the intention to make them last as long as possible, the only way to do that is to take care of them. If many others are like me, whenever I see an outfit or meet with someone, I always unintentionally look to the feet first. That means we always need our trainers to be presentable at all times, so below are some useful tips to keep your trainers looking fresh no matter the weather. We all know that accidents can happen at any time and there are some you just can’t avoid. No matter how much you try, there are always the incidents you just can’t come back from. These traumatic times that we’ve experienced, leave you with no choice but to retire your trainers prematurely. But the days of you eagle-eyeing people’s movements is officially over, thanks to the invention of water resistance spray. The most popular brand on the market for spray protection is Crep Protect. So how does it work you ask? Well, the simple answer is: sprays like Crep Protect use hydrophobic liquids that naturally create a surface barrier to repel liquids like water. Depending on the brand you use will determine how long the protection will last for. Crep Protect states that their water resistance solution will last up to 3 to 4 weeks upon applying. As good as water resistant sprays are good at repelling most liquids, nothing can really compete with getting out an old toothbrush and giving your trainers an intimate scrub. Well, the days of using a toothbrush have long gone, thanks to brands such as Jason Markk for their trainer cleaning kit. But what makes their cleaning kits so special? Well, it’s their premium cleaning solution, which has been designed to be versatile enough to apply to any colour or material trainer for a straight out the box feel. Isn’t it reassuring to know that no matter what Mother Nature throws at you that your trainers will be out of harm’s way? Well, that’s the feeling you get when you have trainer covers. I must say personally, these can be considered to be a quirky accessory and I can guarantee you may get some odd looks from the general public but as long as you know that they are serving a higher purpose it, the strange looks will be worth enduring. 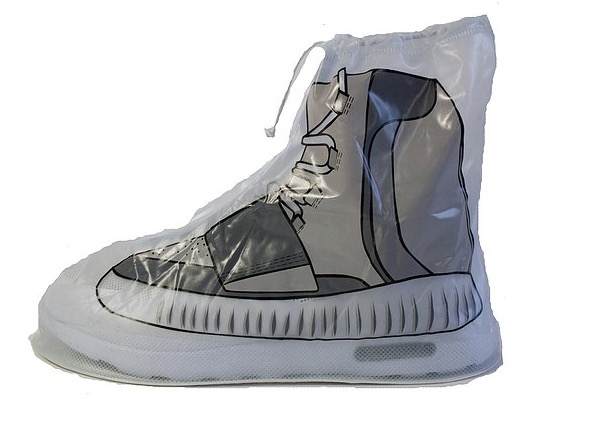 However, you can change those side-eye looks into envy, when you pull up in your custom waterproof trainer covers. Dry Steppers offer a range of waterproof trainer covers with different trainer print on the outer foot. 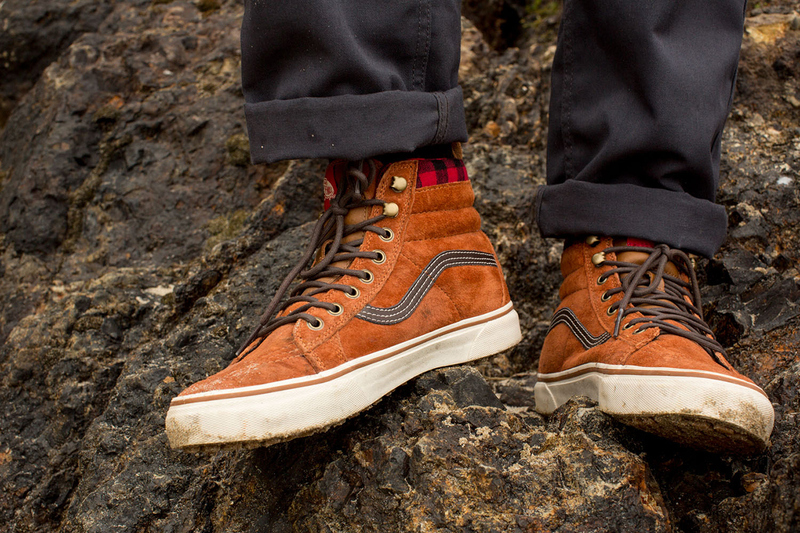 So you can look trendy while keeping water, snow or mud away from your trainers. We’ve all heard the saying “prevention is better than cure”, well this can also be applied to your trainers. To avoid your trainers from being ruined, it’s always best to gain a little foresight before picking your trainers for the day. For example, it’s probably best to avoid wearing suede trainers if you know it’s going to pour down with rain an hour after you leave your home. So, one minute on Google searching for “today’s weather” could save you twenty minutes of cleaning your trainer later that day. So with these amazing tips, I expect your trainers to retain close to box-fresh no matter what the weather throws your way. But I would like to hear your advice on the best way to protect and clean your trainers, so either comment below or @ us on Instagram and Twitter.